The spiritual book market is absolutely saturated with choices. Some of them wonderful contributions, others not so much. For the past 25 years or so the Western book market has been inundated with a plethora of commodified spiritual prescriptions. We've co-opted shamanism to help manifest more money and turned everything in an opportunity to practice the law of attraction. Some books like Eckhart Tolle's The Power of Now and A New Earth and Deepak Chopra's multitude of books have had an important impact on the Western spiritual zeitgeist. Byron Katie's Loving What Is happens to be another important achievement in the "new thought" arena. Many of these teachers have been popularized and further commodified by moguls like Oprah Winfrey, who, for all of the criticism you can give her does have fairly good taste in new-thought leaders. However, There are many other popular spiritual books, some of which are great and some of which are simply popular. I've done a lot of reading, and a good 70% of that reading are books in this genre. I've read a cross-section from all traditions and approaches, from the scientifically researched to the wildest metaphysics you can imagine. There are many books I could recommend to the spiritually minded person, or simply the open minded person looking for perspectives on a topic that can be clouded with misinformation. Below are 6 non-fiction spiritual/metaphysical books you've probably never heard of (although I could easily list 20). Some of them are more metaphysically based while others are more overtly "spiritual" in nature. But all of them are worth checking out if you are even remotely interested in beginning to find answers to some of the bigger questions in life. There's something down here for everyone. This book chronicles psychiatrist Brian Weiss's early experiences with hypnotic regression. As a clinician Dr. Weiss often regressed patients for a variety of mental and emotional issues. However, one day Dr. Weiss encountered a patient who regressed back to what appeared to be a former life. This book recounts that patients regression experiences and Dr. Weiss's commentary as he attempts to de-mystify reincarnation for the average Western reader. It's a fascinating read for those interested in reincarnation, and past life regression. 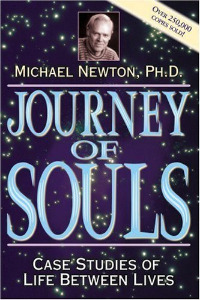 This book, written by psychologist Michael Newton, chronicles the authors spontaneous experiences with patients who, when regressed, began to recount their experiences "between lives". His work is impressive in that he has gathered a large cache of cases of patients who recount, with stunning similarity, the experience between human incarnations. Many of his patients came in without prior metaphysical or spiritual understanding of an "afterlife". His sessions started in much the same way as Dr. Weiss's patients (dealing with mental/emotional issues) and then progressed to some past life recall until one day a patient recalled their experience of her soul between lifetimes. This is another fascinating read for those looking for firsthand accounts of reincarnation memories. It also gives a fairly interesting account of some of the mechanics behind reincarnation, life selection, and basic energetics. 3.) Eastern Body, Western Mind by Anodea Judith. For those who don't want to jump on the reincarnation train just yet, this book is a very practical approach to understanding the chakra system. Anodea Judith mixes principles of Western psychology and Eastern chakra metaphysics to give the reader a very complete and accessible understanding of how the chakra energy centers effect the human beings emotional, physical and mental development. She offers exercises and practices so readers can pinpoint chakra issues and begin working with the information immediately. If you've ever questioned the current materialistic model of reality and you are interested in the scientific aspect of spiritual metaphysics this is the book for you. Charles Tart is a well known psychologist and parapsychologist who has done a bevy of research in the "new sciences" which many know as parapsychology. This book outlines how the precepts of a completely materialistic universe have been long overthrown by quantum physics. This book will topple any outmoded scientific paradigms offering references to important research studies that defy conventional materialistic explanations for phenomena. This book is great for those who are interested in the philosophy of science, and have a sneaking suspicion that the old Newtonian model may not be entirely true. 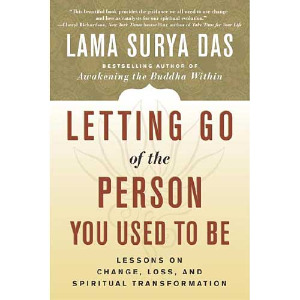 This is a great book by the American Lama Surya Das about how to handle change, loss and spiritual transformation. This book discusses how people can begin to handle difficult human emotions like grief, anger, fear and how crisis can help to move people into discovering their authentic selves. I recommend this book for anyone who may be going through a difficult time and looking for a non-evasive spiritual approach to addressing the issues and problems they may be having during a crisis or emotional upheaval. This book takes a more emotionally centered approach to finding spiritual meaning and because it is written in the gentle nature of the Buddhist tradition it offers little threat to those sensitive to the judgment common in religious dogma. Meher Baba was an Indian mystic, teacher and spiritual master who is best known for the phrase "Don't worry be happy" popularized by singer Bobby McFerrin in the 80s. Meher Baba is, in my opinion, one of the most profound spiritual masters of the 20th century...Maybe ever? This book is a compilation of his discourses to disciplines from the 1920s to the 1940s. He covers a wide range of hugely complex topics such as reincarnation, the ego, the nature of desire, love and marriage, happiness in a strikingly precise and simplified manner.Baba, who observed a 40 year vow of silence, manages to eloquently and succinctly decode some of the most complicated spiritual concepts in a single sentence. This book is a more simplified version of his other major work God Speaks, which gives the most intelligent and spiritually complex explanations for evolution, involution and universal metaphysics I've ever seen. For those new to spiritual concepts I recommend starting with one of the earlier suggestions on this list and working up to this one, because while it's easy to understand it will completely blow some pre-conceived notions you may have had about Reality.